Susie Grynol is an accomplished association executive with over 15 years of experience in managing complex industry issues and delivering successful political outcomes. 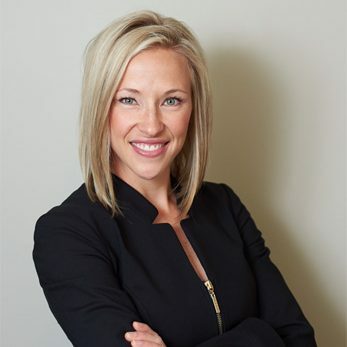 Susie graduated in 2005 from the University of Ottawa with a degree in Politics and History and went on to achieve a Professional Designation in Association Management in 2010. In 2005, Susie launched her career in the association sector as a Coordinator of Government Relations at the National Association of Consulting Engineering Companies. There she quickly rose through the ranks to become Vice President where she had responsibility for advocacy, communications, membership, conference management, board governance, and public relations. In 2013, Susie was recruited as Vice President of Federal Government Relations at the Retail Council of Canada where she served as head of the Ottawa office and lead spokesperson in Ottawa on federal issues. Here, Susie worked with Canada’s largest retail companies bringing legislative and policy solutions to some of the industry’s most complex international trade and labour portfolios. Susie has received multiple awards of recognition for both academic and professional performance. In 2010, she was named Valedictorian of her Certified Association Executive Program, she has won national awards for her work on advocacy issue campaigns, two Programs of the Year awards from the Canadian Society of Association Executives and was honoured with the Chairman’s Award for Exceptional Contribution to the Consulting Engineering Industry in 2014. An avid volunteer, Susie served for 8 years on the Board of the Canadian Society of Association Executives National Chapter, as elected President in 2014. Susie is on the Board of the of the Government Relations Institute of Canada, Tourism HR Canada, the Algonquin College Bachelor of Hospitality and Tourism (BHTM) Program Advisory Committee (PAC), and the University of Guelph Hospitality, Food & Tourism Management Policy Advisory Board. Susie joined the Hotel Association of Canada as President in the fall of 2016 with a mandate to bolster the Association’s profile, streamline its advocacy objectives and build winning strategies.